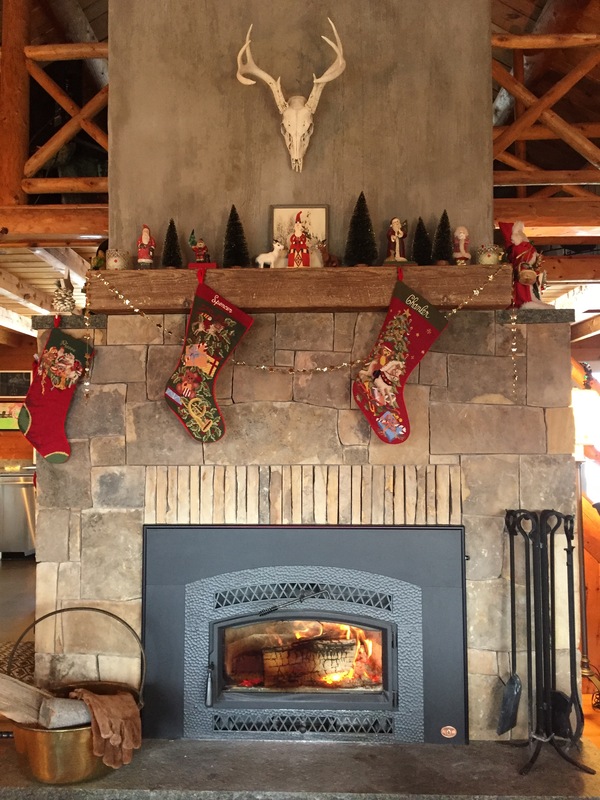 We spent this past weekend up at our cabin with Christmas decorating topping my “To Do” list. Since we’ll arrive Christmas Eve day, I wanted everything up and ready to welcome our Boys. We were also invited to a lovely holiday party at one of the historic Adirondack Camps in Keene Valley. So not all work and no play! I’ve collected A LOT of decorations since we bought our first home in 1993. When we downsized from a rambling Victorian where I decorated every room, I had to pare back and pick what would work in the city and what would work in the country. I’ve also got boxes (and boxes!) stored in a dear friend’s basement. That’s a 2017 resolution. I like to group like things — Santas, snowmen, angels, nutcrackers — in obvious and unexpected places. And I love remembering the stories they tell us every time we unpack them. Polka Dot Dot Dash - life's a spritz on Birthday in Bogotá! © Copyright 2016. life's a spritz. All Rights Reserved. Design by Bloom.